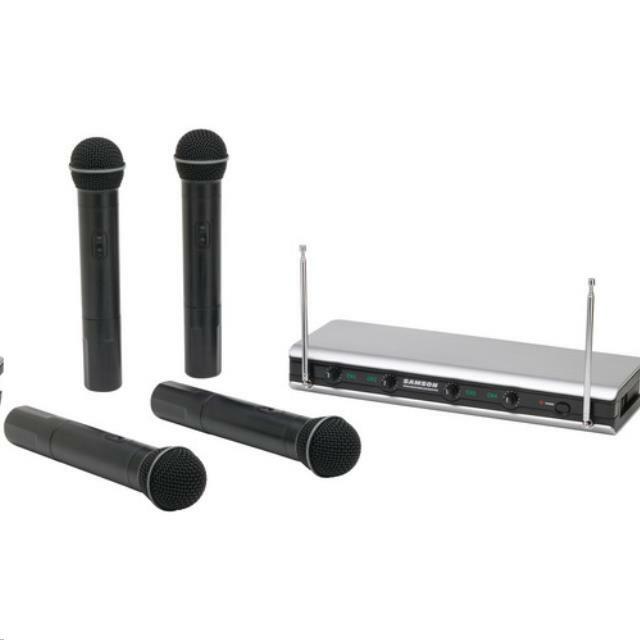 Cordless mic package that can be added to any audio system with a 3-pin microphone XLR input. Works well with the following PA systems also available for rental. * Please call us for any questions on our cordless microphone system 4 mics rentals in Eastlake OH.